Conceived in 2003 POEMA redefines every season the current strong image of femininity. Our clients are women who are defined by elegance, simplicity and style. 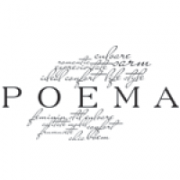 POEMA addresses the contemporary urban female character. POEMA is based on high quality fabrics and design, with a minimal touch and a superior understanding of local urban culture. POEMA proposes a wide range of clothes that can be harmoniously combined. Casual, office and elegant styles are prevalent in our collections to produce a perfect balance between trends and comfort. Up to 50% off on all products starting June 23rd. Your gift for Mother’s Day: – 20 % discount on dresses from the new collection. Visit POEMA store in Sun Plaza between 5 to 8 March 2016. POEMA brings you a beautiful spring GIFT: -20 % off for BAGS & trinkets. Come to our shop from February 27 to March 1, to choose your favorite gift.